Madhav Metal Industries is leading Brass Inserts manufacturer, supplier and exporter in India.These brass inserts are mainly used in automobile, hardware, Electrical and automotive industries.We manufacture and supply various brass inserts as per customer requirement and design, we also offer a full line of brass inserts for all methods of installation. 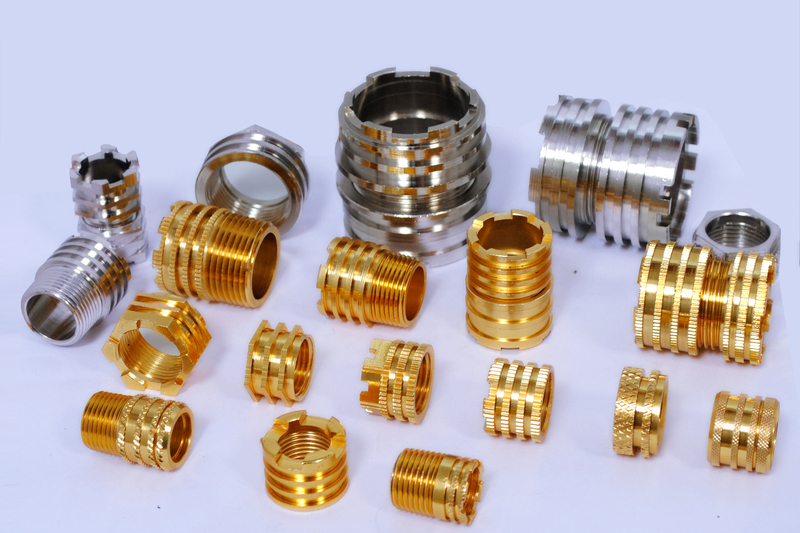 The name “Madhav Group” itself holds a reputation and presence as a trusted manufacturers, suppliers and exporter of brass inserts in the global market. We use and procure our raw material from certified and well-known vendors who are known for their quality in the whole metal industry. We assure the durability and quality finishing of each of our brass inserts as it is tested by our quality testing experts. Our product is anti-corrosive so it is easy to maintain and good for durability. 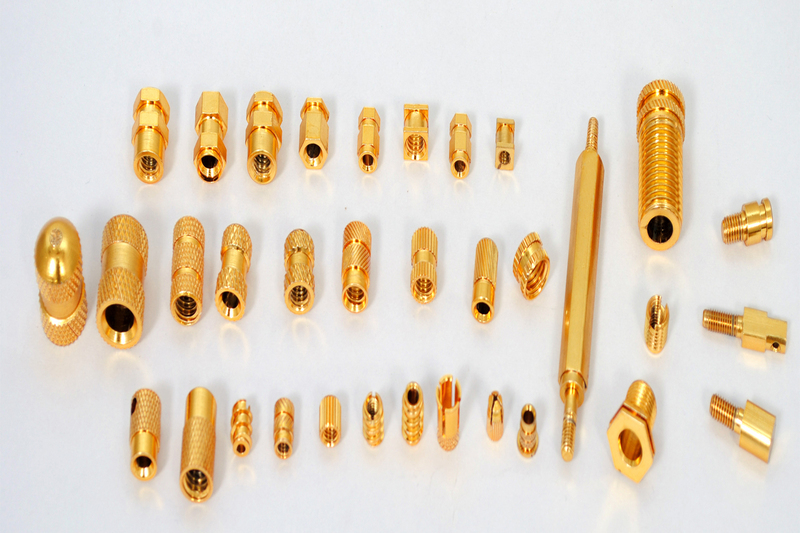 We can develop and supply any kind of brass inserts as per customer specification and requirement. Brass inserts is free cutting brass is 319 type (1), free cutting brass as per BS 249 type (1),	high grade free cutting brass and any special brass material composition as per customers requirement. The threads are of ISO metric (mm threads), BSW threads(inches), BA threads, UNC threads, UNF threads, and any threads as per custom requirements. The size/length are available from m2 or equivalent threads to any size as per custom designs. Knurling can be chosen from diamond, straight, unidirectional or as per client’s specification. The finish and coating of the products are done in natural, nickel plated, tin plated and any other coating as per client’s specification.